We believe that since the world of dog breeding in the 21st Century is so dynamic, the one-size-fits-all website simply doesn't fit all! With that in mind, we assign you with your own artist to create professional artwork for your website so you stand out from the crowd. Say no to stock designs and photos. This is a basic view of our major packages. Directly below is our In-Depth Package List for a complete list of all of our packages. We also have Dog Site Add-Ons available that can be added a la carte to every package. 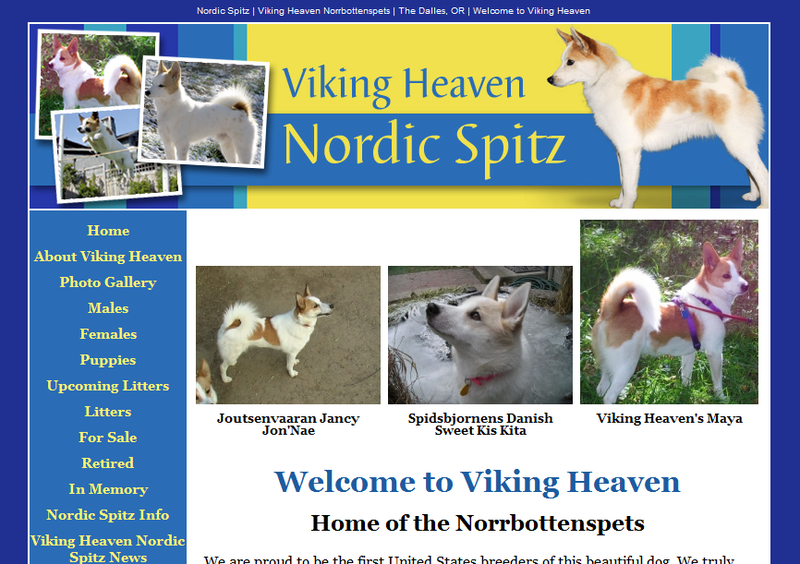 Complete Dog Breeder Website architecture that displays all your dogs; Males, Females, Litters, Dogs for Sale, etc. Pages can be easily set up and edited by you with the Page Builder Wizard in the Easy-to-Use Dashboard. Group Training Webinars, Online Tutorials, and regularly updated Dashboard Tips and Tricks included. 2 Internal Blogs What's This? 5 External Blogs What's This? Up to 3 Dogs will be added with information and photos you provide. Pages can be easily edited by you with the Page Builder Wizard in the Easy-to-Use Dashboard. Group Training Webinars, Online Tutorials, and regularly updated Dashboard Tips and Tricks included.